In case you missed it, here’s an opportunity for a bit of money to explore adopting RDA Recommendations. This project was a great success last year. The deadline is short, but the application is easy. You should check it out. RDA/US is pleased to announce the availability of funding to assist U.S. projects, groups and organizations in adopting RDA Recommendations. 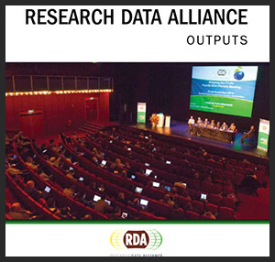 RDA Recommendations are specific technical approaches and high level policy guidelines developed by RDA Working Groups to assist data users in overcoming common data sharing roadblocks and ultimately, accelerate collaboration and innovation worldwide. submit an application to adoption at us.rd-alliance.org<mailto:adoption at us.rd-alliance.org> by Friday, February 12, 2016. RDA Recommendations are detailed in the recently published report titled "Research Data Alliance Outputs<http://r20.rs6.net/tn.jsp?f=00112EvmorWPu3J5flgeYeFJn217IqhOMUN-geaq0YhKD4_z_f9pOk9fW99UEGvI54v-WSJs1wNtE8m423nChXO3FGHd47i1m6WhBNmdQEXB1EJO_ZbyFAlPWBuBdO8AVmNU4HlTCNEDI2NIidEZa8nDRxfHhYj859XM571VN0QEFiwMIoKHPZr8hyBIfEKCjWqauO53WPeCbllP9ntifbCgfe9_1LeSe04GXQg3q1buqN-SwiBh46K2PyyGku60-j4P5SsjRzWLHFv_ELlJdWcUw==&c=0mtGoEfSNmKYNaqqrfr24YIMN7H9_AQeDLIKt3nvv-SyKLfrT3LN7w==&ch=fCUaN1M7qAPueF4F7T4El_jC068l0wuY8pDB0yZILewd3zfnmYzQxQ==>." In 2015, RDA/US conducted an Adoption Seed Pilot, resulting in the successful adoption of several RDA Recommendations. For additional reference, final reports detailing two "worked examples" of adoption are provided below. *   Organizations, groups and projects are eligible as adopters; RDA/US strongly encourages applications from projects or organizations with established user communities. *   Where appropriate, use of existing facilities and collaboration with other RDA-affiliated organizations, e.g., NDS Labs (http://www.nationaldataservice.org/projects/labs.html)<http://r20.rs6.net/tn.jsp?f=00112EvmorWPu3J5flgeYeFJn217IqhOMUN-geaq0YhKD4_z_f9pOk9fW99UEGvI54vNvbCKII-mhW0rsT_Za0Y5Ros1NNP0CqQBJJzvSR8kxNXRx3i-95qrHt0P3i69Xd6d3MVIQnYaT5OqqVQ8JGVbEW3oUTRDL2XJ33TB-04PO0vdX1vnhE-zs00uPGByLXsInm2GzM4rEds1HHchoKNtg==&c=0mtGoEfSNmKYNaqqrfr24YIMN7H9_AQeDLIKt3nvv-SyKLfrT3LN7w==&ch=fCUaN1M7qAPueF4F7T4El_jC068l0wuY8pDB0yZILewd3zfnmYzQxQ==>, is encouraged. *   Applicants not currently RDA members are encouraged to join RDA, however, membership in RDA is not a requirement or evaluation factor in the application process (Applicants are expected to join RDA if funding is received). *   Applicants must be eligible to be a member of RDA/US (be a US citizen, member of RDA working at a US institution, or an organization with US affiliations). *   Anticipated impact and metric of success - how will we know if the adopted infrastructure is successful in enhancing the data environment? Budget description and justification (not included in application page count). Note that travel to RDA Plenary 8 will be provided for one member of the selected adopter's team and should not be included in the budget. *   Accepted applications will receive funding up to $40,000 to begin roughly around March 1, 2016, and must be complete by December 1, 2016. *   Accepted applicants/adopters will be expected to work with representatives of the respective RDA Working Group to ensure there is a complete understanding of the Recommendation. *   Adopters must attend RDA Plenary 8 in September 2016, to present a summary of their adoption results and activities (Reasonable travel funding will be provided). The adoption effort should add real demonstrated value to the user community for the system into which it is integrated. Submissions will be evaluated on the potential for impact of the effort. Awards will be announced the week of February 22, 2016. We encourage you to submit your proposal, as well as share this announcement with others you who feel may have an interest. For any questions or comments on this exciting initiative, please contact us at  adoption at us.rd-alliance.org<mailto:adoption at us.rd-alliance.org>  or visit us.rd-alliance.org<http://r20.rs6.net/tn.jsp?f=00112EvmorWPu3J5flgeYeFJn217IqhOMUN-geaq0YhKD4_z_f9pOk9fW99UEGvI54vkbS9vCdge6KWO0x8-19giwu1OJYI68CQRzSI1YOYYYsZ5y2TzffqbxsnAeVsi-s8HyCkra-Jx0AOTEZibPQpliv7HMysZ1gR4Aewzyl-blU=&c=0mtGoEfSNmKYNaqqrfr24YIMN7H9_AQeDLIKt3nvv-SyKLfrT3LN7w==&ch=fCUaN1M7qAPueF4F7T4El_jC068l0wuY8pDB0yZILewd3zfnmYzQxQ==>. This work is licensed under a Creative Commons Attribution 4.0 International License<http://r20.rs6.net/tn.jsp?f=00112EvmorWPu3J5flgeYeFJn217IqhOMUN-geaq0YhKD4_z_f9pOk9fW99UEGvI54vI-xI983CI0wPo4-0N4bzhVOe_ctrbaqbO1J8o4W1apeAJyCW-BWPgiRsIwE_nRWO5goccftHasObu7__h-V7I2mH3DJ92dplziZS6mBmriI26CjPRokyelOMGx0uEW8MAeA5Mdd3UvE=&c=0mtGoEfSNmKYNaqqrfr24YIMN7H9_AQeDLIKt3nvv-SyKLfrT3LN7w==&ch=fCUaN1M7qAPueF4F7T4El_jC068l0wuY8pDB0yZILewd3zfnmYzQxQ==>.